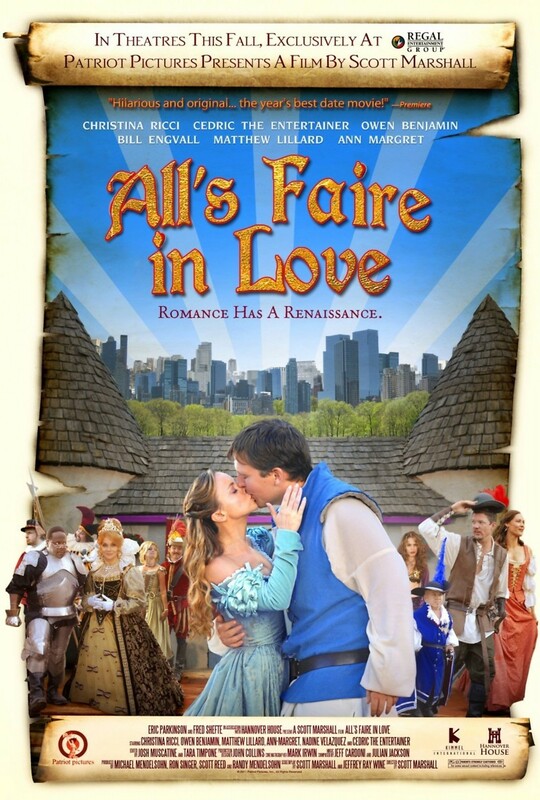 All's Faire in Love DVD and Blu-ray release date was set for February 7, 2012. Kate and Will are the respective leaders of two of the top medieval troupes around. They decide that the time has come to vie for supremacy, and both of them are going to push their groups to the limit in order to prove that they are tops when it comes to medieval revelry. In the process, they will engage in a number of comical shenanigans, and as they are thrown more and more into each other's company, Kate and Will might just begin to see each other as something other than rivals.